We hope all is well with you and the Lord is blessing you in a special way! We wanted to give you a short update, as we have in the weeks past. Many good things are happening in the church. One good thing is a new ministry for our teens. We have been praying for many years about starting a teen group. Several of the kids are getting too old for Sunday school (including ours) and there was a group of our young people who wanted to start something for them. 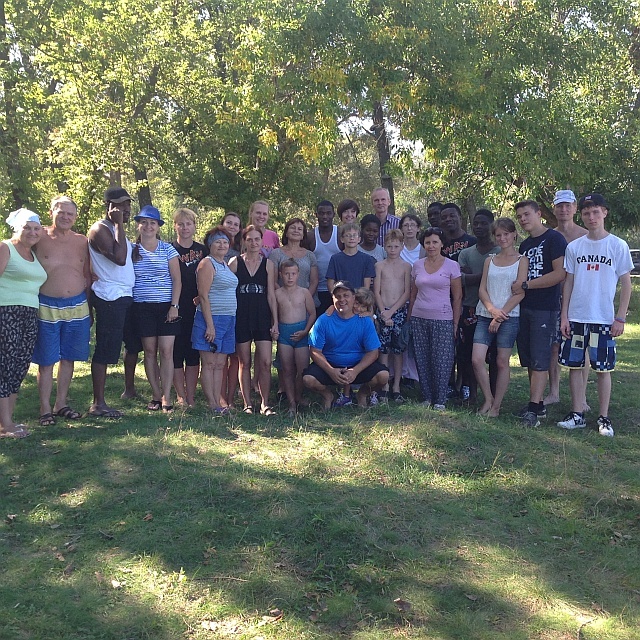 Last month there was a special week long training session in another city for those who desired to work with teens. Three from our church went to the training and came back with a big desire to start and Awana group. Our first meeting was on September 3rd. 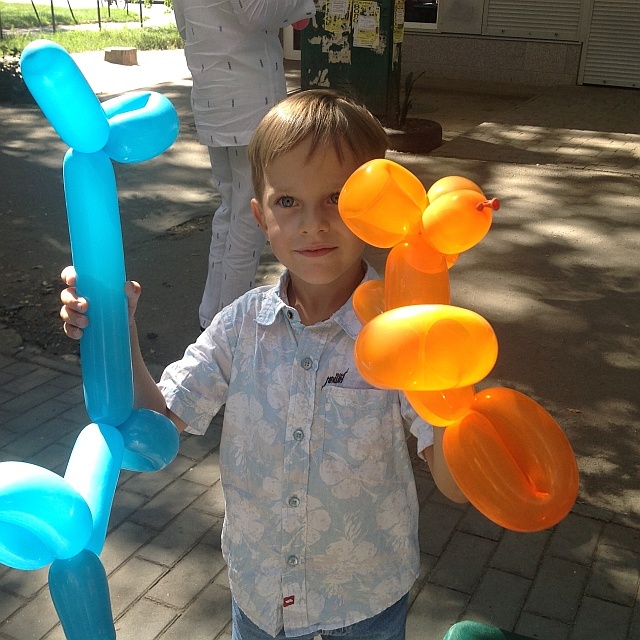 I sent some pictures of the first meeting. The week after there were events outside and some of the neighborhood kids joined in. We are praying that some of the neighborhood kids will join so the team made some invites and are handing them out to spark an interest. We are always asking that they get their parents permission and praying that the group will expand in order to share the Gospel with those that are new. Thanks for praying for our health. We had a short season of sickness and we all were on antibiotics for a week. Praise the Lord we are all feeling better. We are starting a new men's study in a few weeks. As we were praying and looking for material in both Russian and English we decided the Lord was showing us to "The Resolution for Men" from the makers of the film "Courageous" . Several of the guys came up and showed interest as well as some of our students. In our absence the guys will continue on. We are praying for good fruit in our lives while we go through the book. Ify and Natasha are expecting a baby! We are very excited for them. They will be moving to an new apartment to get things situated for their new addition comes in March. On a sad note, Ify's mother has been diagnosed with breast cancer. Ify is making arrangements for her to come to Ukraine for her treatment. Since he is in medical school he has a wealth of people he can get advice from to get the best treatment. She has applied for a visa about 3 weeks ago and it's still not ready. The consulate say they are waiting for some type of confirmation. and may take a few more weeks. Please pray, that if it is in the Lord's will that she will get the needed treatment here and for God's healing. We are hoping to see her before we leave for the States. We are looking forward to our time in the States. We hope to see as many of you as possible while we are there. We enjoy catching up to see what the Lord is doing in your lives and share how good and faithful the Lord is to all of his people. May the Lord abundantly bless you! Thank you for your praying, short encouraging notes, and your financial support. We thank the Lord for his continued provision in ALL things! 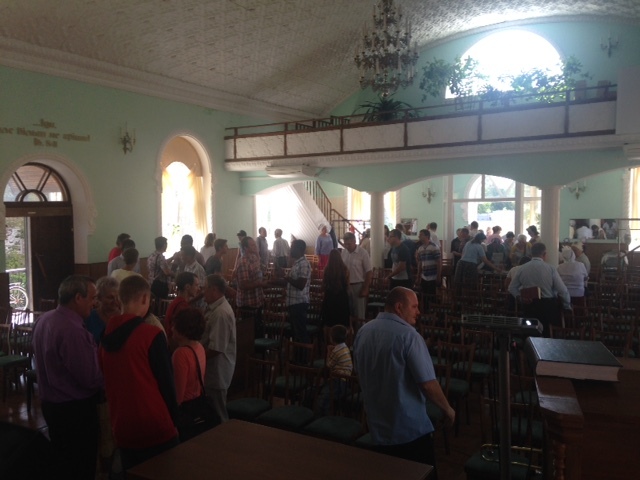 By the way, our church building in Poltava, Lord willing, should be paid off within the next 3 to 4 months. We have a small balance left! For those who support us financially, we thank you for being a huge part in this accomplishment! When that time comes we are going to have a big celebration, praising the Lord for what HE HAS DONE. 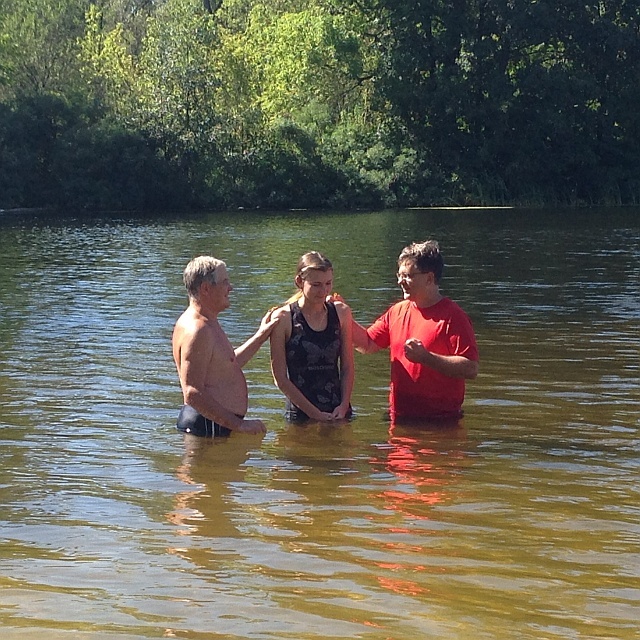 We had our annual family meeting at the church and shared this good news with the body! Again, we have seen God's faithfulness in so many ways it's such a blessing to be a part of! We praise the Lord for you and your faithfulness to Him! If the Lord is willing, we'll be in Florida on October 3rd! I may send one more update before we leave. Just wanted to share some pictures from this week. 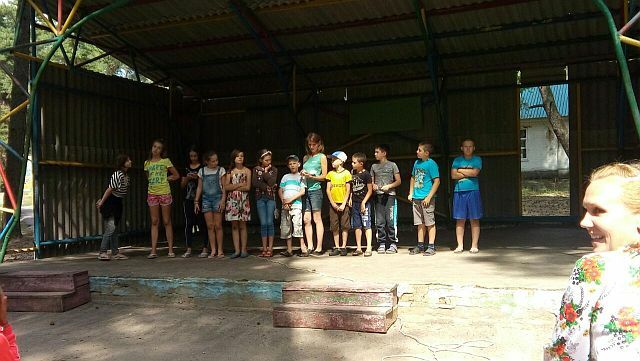 Kids are going back to school so we were able to visit the camp one more time before the kids go back to their home and start studying. 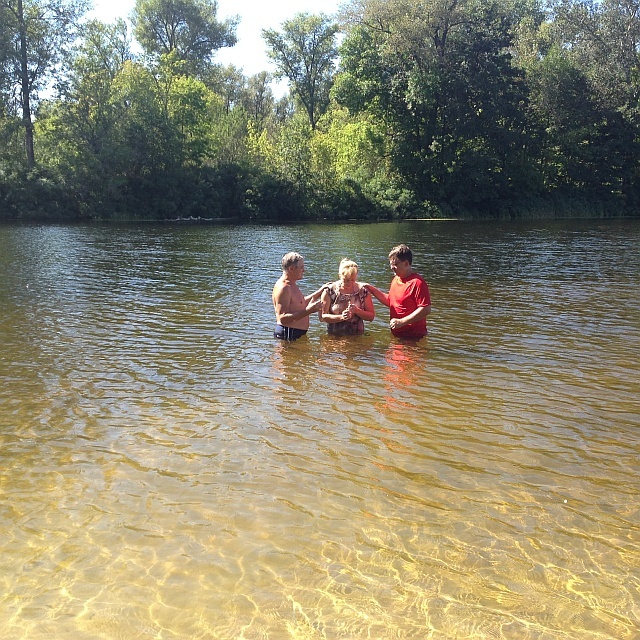 On Saturday we had our last picnic/baptism of the summer. The Lord gave us some really nice weather not only to have a fun picnic, but also to have a good day of evangelism outside the church. As I had shared we had been invited to a Baptist church to do worship and share a Bible teaching during the service. 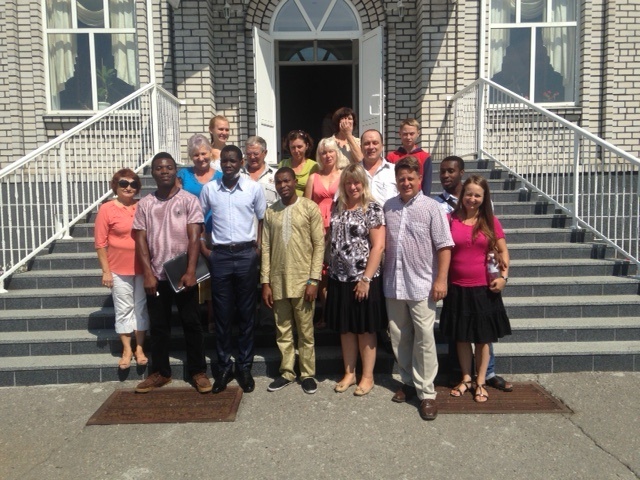 A team of us from the church left Poltava at 6:30 am to be at the service in the other city which started at 9:00 am. The pastor greeted us warmly and was happy to have us. The church was organized over 100 year ago, so as I had thought, there were mostly older people there, but there was also a good mix of other ages too. The approach to the Sunday morning service is quite different that ours, but they accommodated us well. Our service usually has 3 parts, there's has about 6-8 parts. Tanya lead worship with some of the worship team (from Poltava) and Eric shared from 2 Corinthians 4, with the emphasis on living in the power of the Holy Spirit and how that should effect our lives as believers. We pray that those there didn't focus on the differences (because a few people mentioned they do things much different) but more on what the Lord was trying to speak to each one of us in the Word. 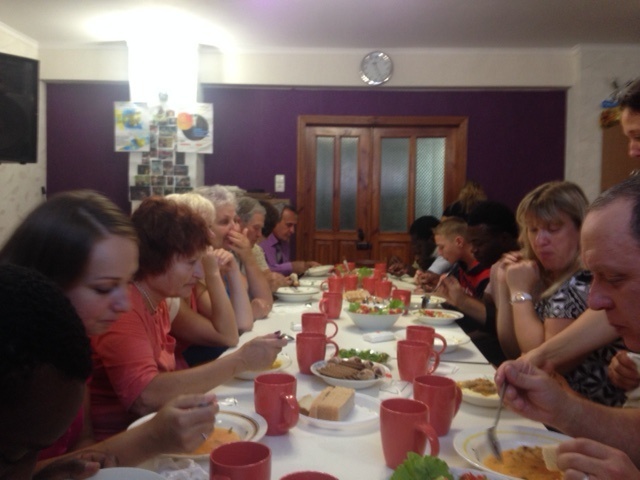 Afterward there was a very short time of fellowship, lunch, and we were on our way back to Poltava. 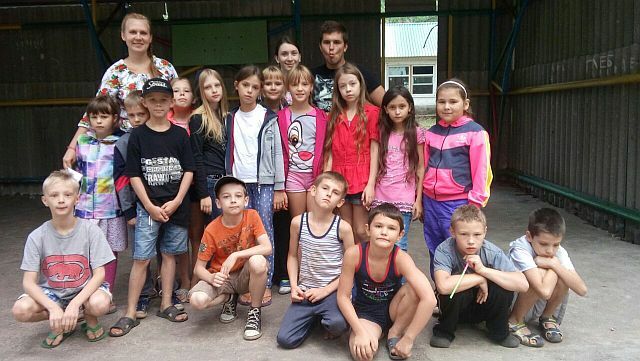 Pasha taught the service in Poltava in our absence. We thank the Lord for the opportunity to minister the Word and serve our brothers and sisters in Jesus. Thanks for your prayers and support and short letters of encouragement). 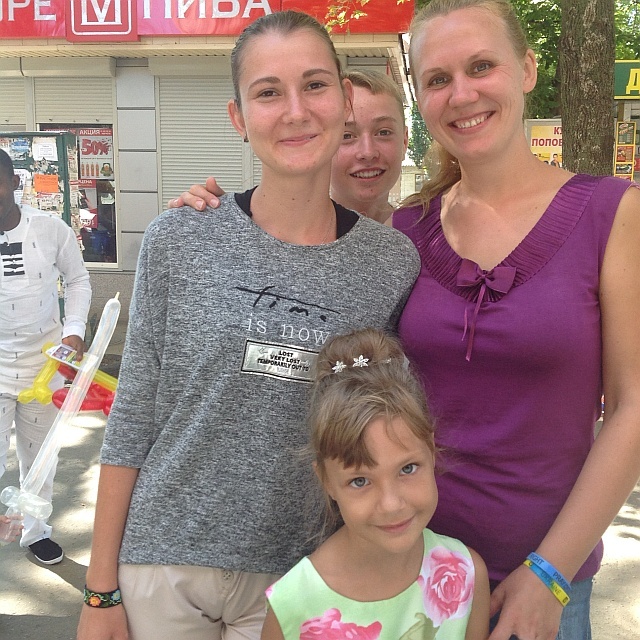 This week we has 3 events lined up (camp, baptism, and evangelism) as well as the arrived of Tanya's mom! One good thing is that the kids are ahead in school, and Daniel has even finished the year which officially ends for us on September 14! By the way, everyone is getting better, little by little (coughing less, no fevers), so thanks for praying! Pictures were from our ministry yesterday.